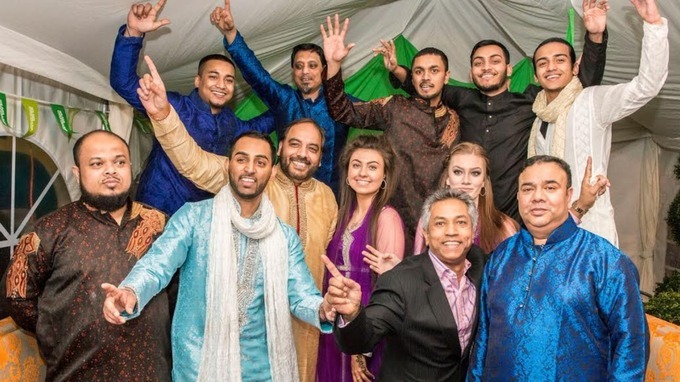 A Sheldon-based Indian restaurant along with its family concern has gone beyond the point of call to raise over £16,000 for Macmillan Cancer Support. Situated on Coventry Road, B26 organised a special fundraising event to mark the venue’s anniversary. 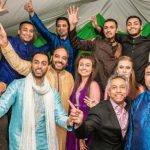 The Bollywood-themed dinner dance attracted a capacity crowd of more than 200 guests, including Solihull Lord Mayor Coun Mike Robinson. Funds raised include a donation from Barclays Bank PLC, support from a raffle draw and a charity auction. Among the guests on the night were Solihull couple Neil and Toni Robinson, who had their first date at the venue – and celebrated their 19th anniversary on the eve of the event. The evening was tinged with poignance at Coun Robinson shared his personal story about losing his 36-year-old daughter to cervical cancer in February 2010. Coun Robinson said: “I miss my daughter everyday – she fought the cancer to the very end. “As a father it is devastating to sit with your child while she slowly slips away you feel so inadequate and it is beyond heart breaking. “A third of families will during a lifetime experience cancer in one form or another. “The consequences for those with the condition and for the family can quite literally be life changing. A five-course meal followed the grand opening before Bollywood dancers, a henna artist and a sitar player entertained guests.